This tent shades you from the sun! Custom Printed Pop Up Outdoor Event Tent-Full. 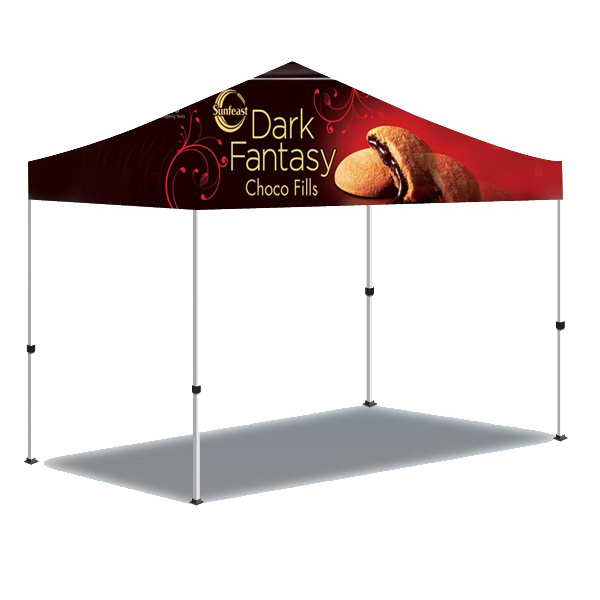 We offer promotional tents/popup canopies with imprinted logo graphics. Personalize your canopy / tent with unique graphics. We can custom make these printed canopies, pop ups or tents with logos for any outdoor event. Our custom printed popup canopies are perfect for advertising. Our printed shade tents are perfect for you! They are also great for outdoor parties, sport games, business events, and tradeshows outdoors.